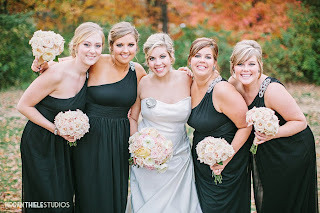 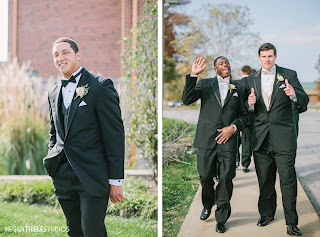 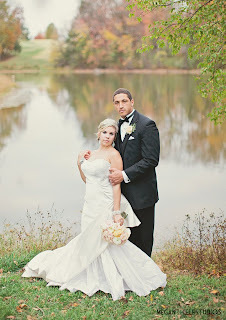 Allie and Michael celebrated their wedding day with friends and family in Columbia, MO last fall. 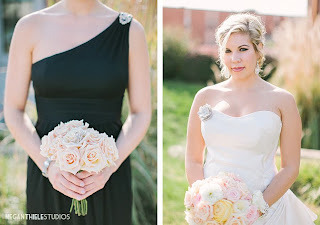 We designed soft, romantic flowers for their blush and gold color palette. Photos by Megan Thiele. 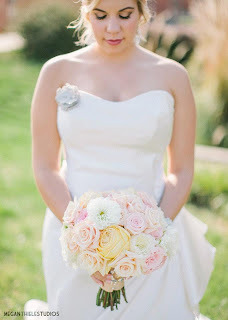 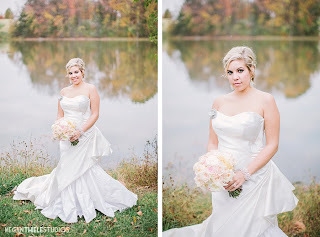 Allie’s bouquet was a mix of garden roses, peonies, and dahlias in gold and blush tones. The bridesmaids carried a clutch of all Sahara roses. 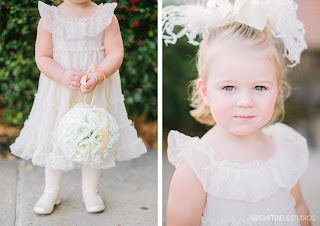 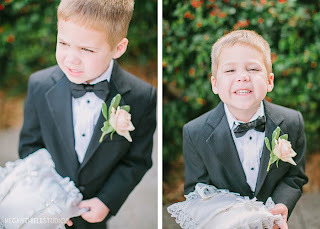 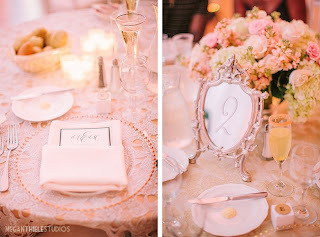 The reception was a continuation of the blush and gold tones. Low and high centerpieces focused on very soft, romantic, garden textures. 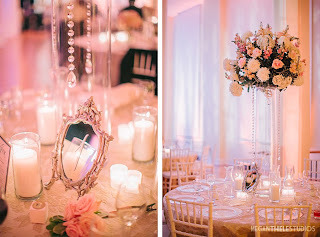 Hanging crystals added another formal touch to the large guest table centerpieces. 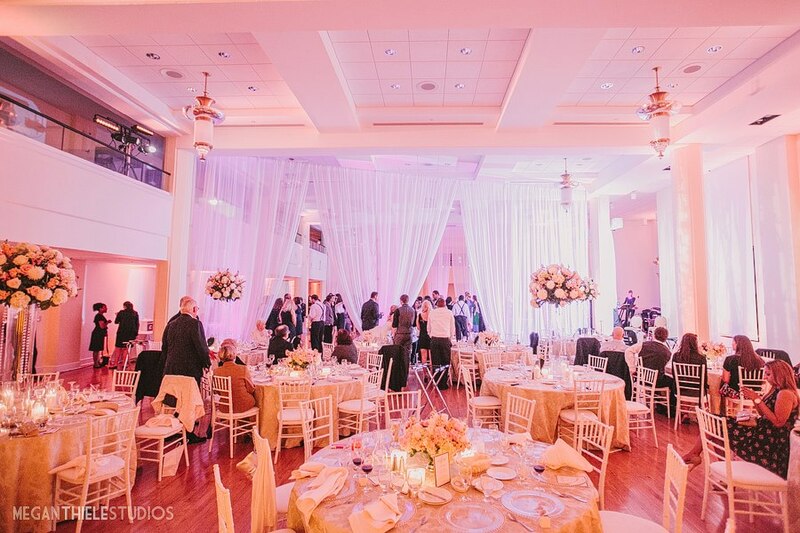 Exclusive Events, Inc. added lighting, fabric draping, and hanging candles to really deck out the reception. 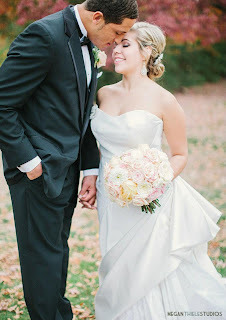 Special thanks to Josie at Cosmopolitan Events for making all the details of this day a dream come true for Allie and Michael. All our best to the newlyweds!